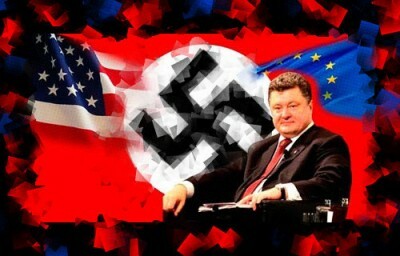 The Obama regime and its neocon monsters and European vassals have resurrected a Nazi government and located it in Ukraine. Read this statement by Elena Bondarenko, a member of the Ukrainian parliament. The Western media has created a fictional account of events in Ukraine. The coup organized by the Obama regime that overthrew the elected democratic government in Ukraine is never mentioned. The militias decked out in Nazi symbols are ignored. These militias are the principle source of the violence that has been inflicted on the Russian populations, resulting in the formation of the break-away republics. Instead of reporting this fact, the corrupt Western media delivers Washington’s propaganda that Russia has invaded and is annexing eastern and southern Ukraine. British and European politicians parrot Washington’s lies. The Western media is complicit in many war crimes covered up with lies, but the false story that the Western media has woven of Ukraine is the most audacious collection of lies yet. Truly, truth in the Western world has been murdered. There is no respect for truth in any Western capital. The coup in Ukraine is Washington’s effort to thrust a dagger into Russia’s heart. The recklessness of such a criminal act has been covered up by constructing a false reality of a people’s revolution against a corrupt and oppressive government. The world should be stunned that “bringing democracy” has become Washington’s cover for resurrecting a Nazi state.